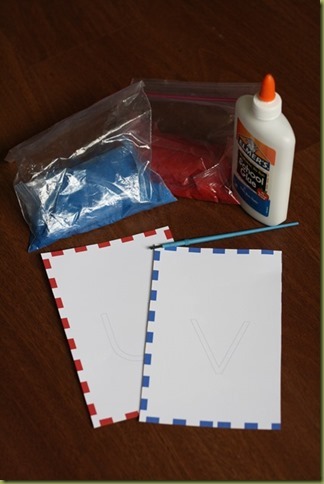 Royal is not learning his letters with the fun printables and crafts we’ve been doing (he loves the crafts, just isn’t retaining any of the info!). So I’ve decided to dig a bit deeper into the Montessori world. 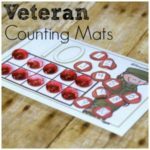 I’ve also admired the Montessori method and wanted to do more Montessori activities, but just haven’t. The first thing I wanted to concentrate on was letters, of course. I knew we’d need sandpaper letters, but we can’t afford/don’t want to buy a set. I knew we had colored sand leftover from a past project and I thought it would be perfect. I made some quick letters (download included at the end of the post). Then I used a paintbrush to add a layer of glue, and sprinkled the sand over it. I let my cards dry overnight before using them, just in case. Also, in Montessori they use a different color for the vowels. 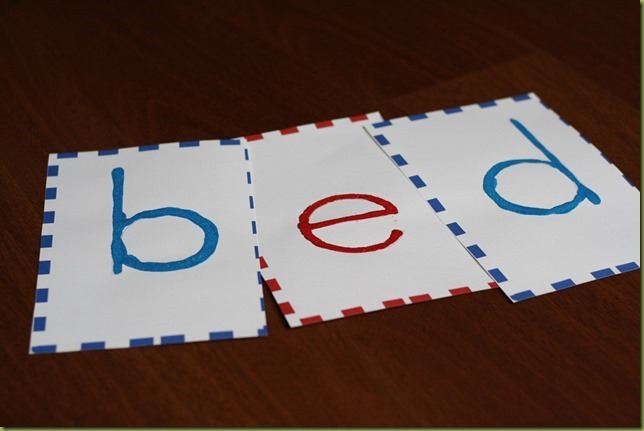 Since we use All About Reading, we choose to keep it consistent and have blue consonants and red vowels. If you don’t have colored sand, you can just dye it yourself! Check out this tutorial! I haven’t made it through all the letters, but enough to give us a head start. We are just working on one letter at a time at this point. I’ve introduced them to both Royal and Logi-Bear. Royal loves the letter r since it’s the first letter in his name, so we started with r. I had him trace the letter with his finger and say rrrrrrrrr at the same time. I’m hoping that by using the Montessori method he starts to feel more comfortable with letters soon. We’re also going to adopt some more Montessori methods, just a bit at a time! 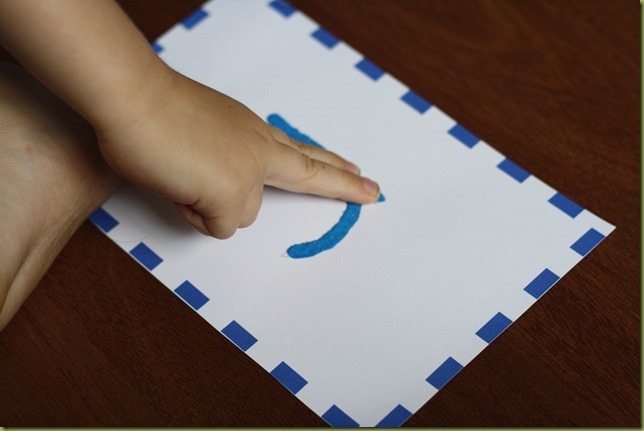 You can download the Montessori Sandpaper Letter Cards Here! These are great!! Thanks!! Something that helped my kids learn their letters and fast was http://www.starfall.com. It is really fun and free. Are there any cards for upper case letters? Not yet, but I am working on uppercase and numbers. I’ll try to get them out quickly!